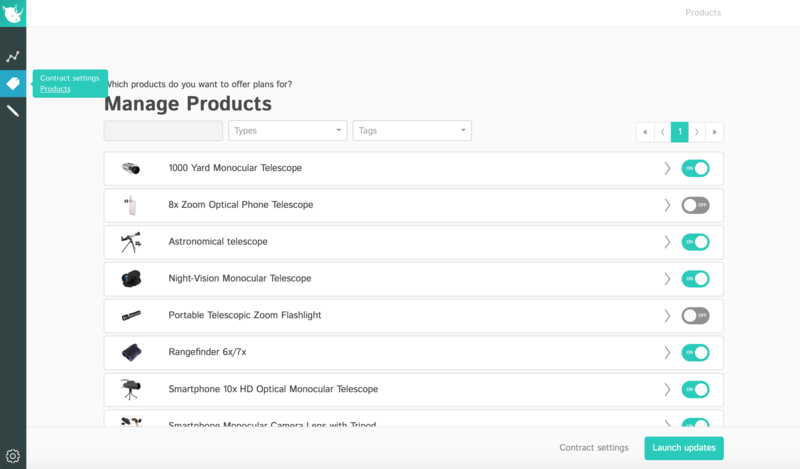 To offer contracts for only certain products, go to the page titled "Products" in the Clyde app. On this page, you can manage which products on your website are offering protection by toggling between "ON" and "OFF" for a product. Then click "Launch updates" to effect your live store.